IGI software products view and edit a wide variety of data formats, including ODB++ data. For a free ODB++ viewer, download our IGI PT Viewer to see how it works. Input is easy for all IGI software products. Just drag and drop ODB++ files on the IGI software icon to import them. Import multiple files at one time. You can import and view files with other formats together with ODB++ data. Import hierarchical data and/or flat data. ODB++ data may include component or netlist information. IGI software uses that ODB++ component information in Gen Stencil to further automate solder paste editing and generation. Reference Designators and Component names can be listed with other standard information. After import, zooming tools enable you to view an ODB++ component or part by selecting its name or number. Once import is complete, take advantage of the powerful array of viewing and editing tools available, that goes beyond zooming and scrolling, to find zero width geometry, smallest geometry, calculate areas and much more. Most viewing/editing features are included with the free ODB++ viewer, (IGI PT Viewer) but saving and exporting data are disabled until licensed. Whether the ODB++ data is flat or hierarchical, IGI software provides tools to configure ODB++ export options. Select layers to export, specifying layer names. Paint/scratch layers merged for export. Advanced settings for maximum points on polygons and arc tolerances. Flat data only: ignore off board data. Flat data only: an ODB++ Plotter output option with settings for resolution, polarity, XY scaling, XY offset and mirroring, per layer. 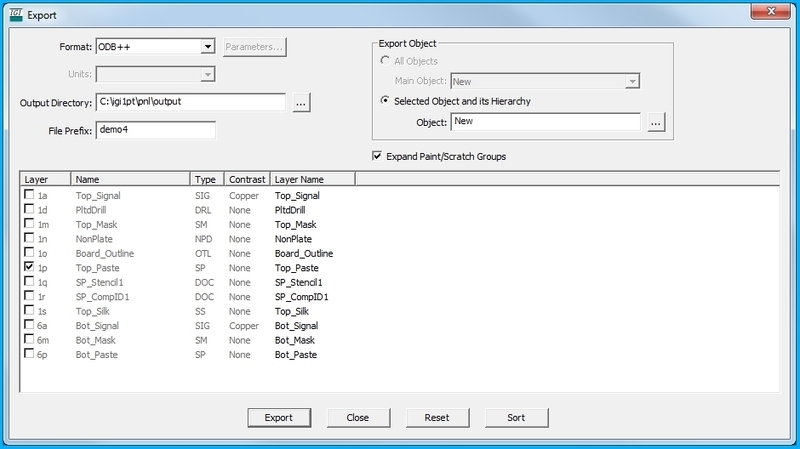 Hierarchical only: select which object to export, resulting export data is flattened. Customize defaults to simplify export for your operators. Export of ODB++ data is a licensed option for IGI software. 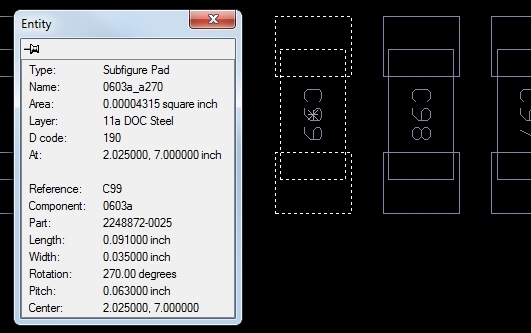 The free ODB++ viewer, (IGI PT Viewer), can be upgraded with a product license which includes saving and exporting data. Contact Us for more information, or visit our Resources page for video links.